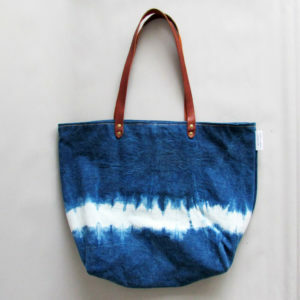 Hand-dyed indigo artisan shibori leather tote bag. Elegantly hand crafted into this timeless shoulder bag. Shibori is a term coined for a whole range of resist dyeing techniques.  Traditionally applied to all sorts of natural fabrics, cotton, silk and linens. We have transferred those same resist methods onto leather to create a fresh new twist on shibori patterns with this white leather tote bag. Our leather is super soft light weight lambskin so that you’ll love the way this shoulder tote looks and feels. Elegantly hand crafted into this classically styled soft leather tote with an understated veg tan leather handles. Strap – Darkveg tan leather with antique brass rivets . Antique brass YKK zipper with leather puller for ease. Internal leather keep safe pocket. Different sizes and styles available in shoulder totes. Take a look here.. These ladies leather tote bags are made to order please allow 2-4 weeks for your order to be delivered. Leather hand-dyed and bag handmade in England.